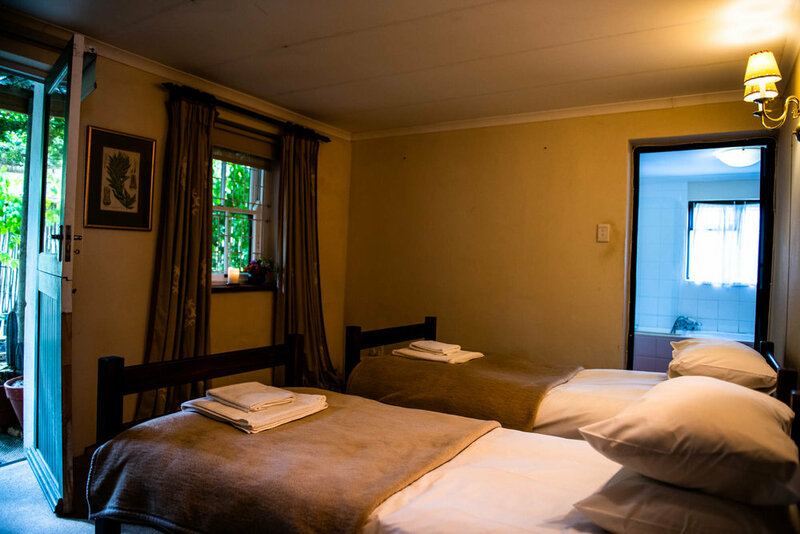 Three well appointed and fully equipped self-catering cottages are a majestic stroll from the main retreat centre facilities. 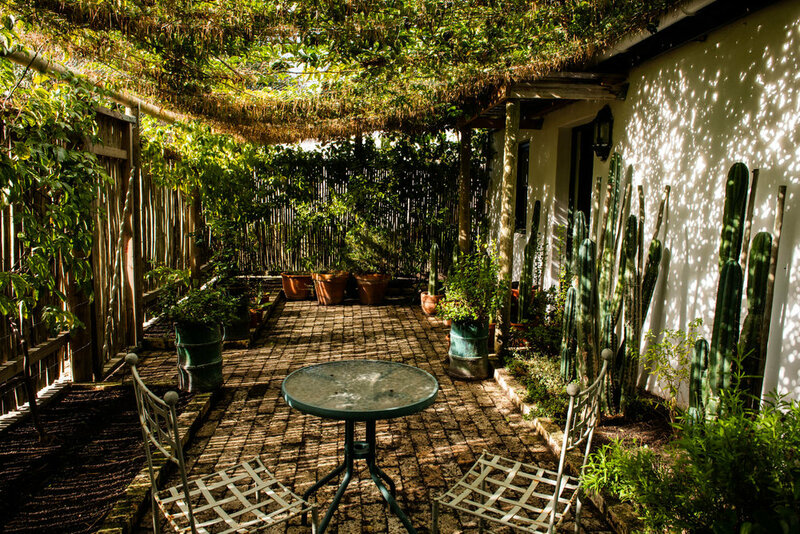 Ideal for Personal or Family Retreats these cottages enjoy privacy, forested hiking trails and a nearby swimming pool. 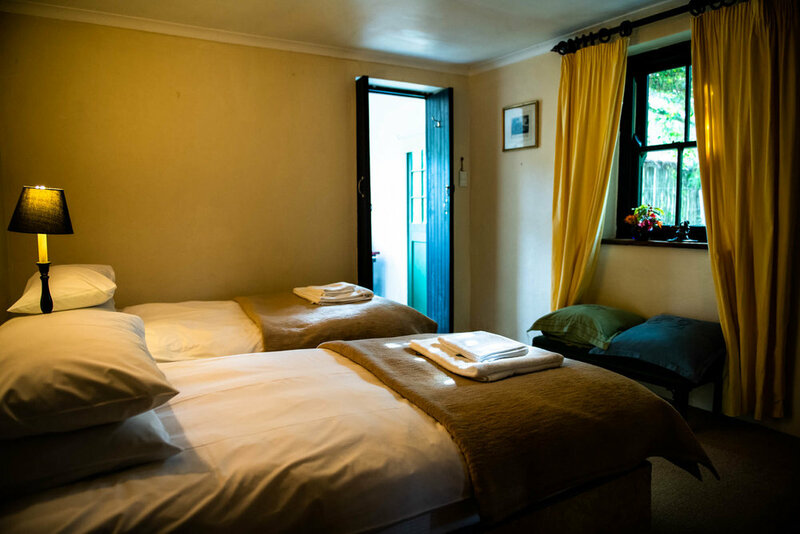 They are located in close proximity to each other and are often combined for intimate group workshops of up to 14 people. 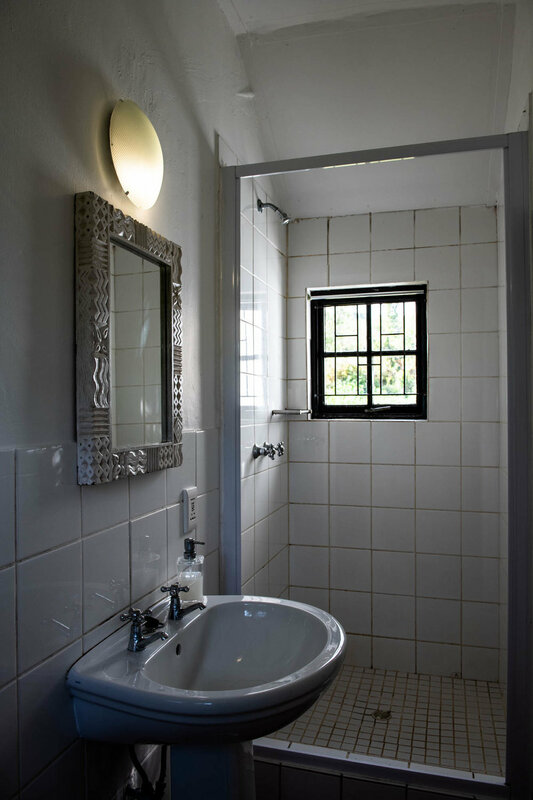 Heron Cottage sleeps 6 in 2 twin en-suite bedrooms and a sleeper couch in a large living room with its own bathroom. A large screened in, sunlit porch with fabulous views is ideal for yoga, meditation, family relaxation or intimate workshop gatherings. 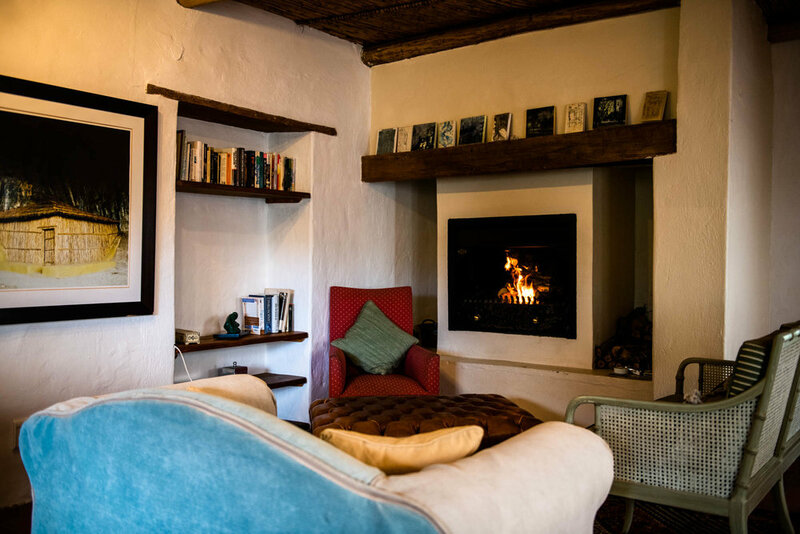 Hadeda Cottage sleeps 5 in a twin room and open plan living room, with a shared bathroom. The kitchen and living room with fireplace leads onto a deck with gorgeous views overlooking mountains and paddocks. 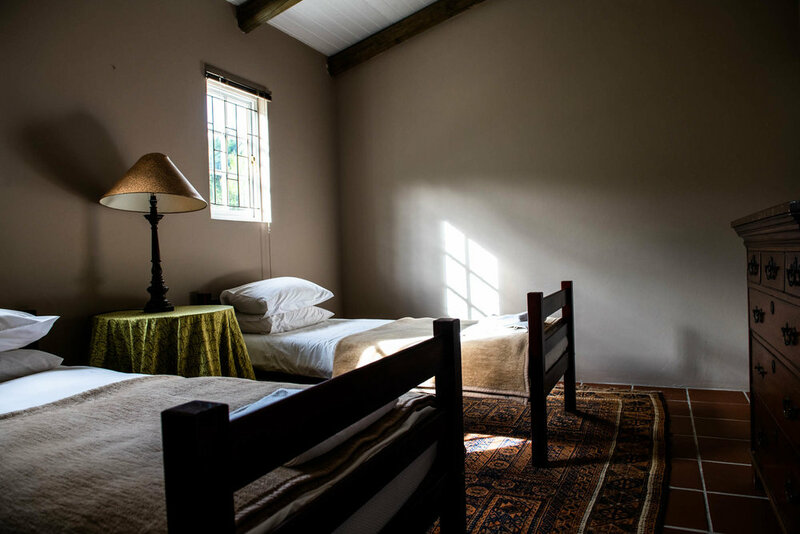 Hadeda easily converts to a dorm cottage for organized retreats. 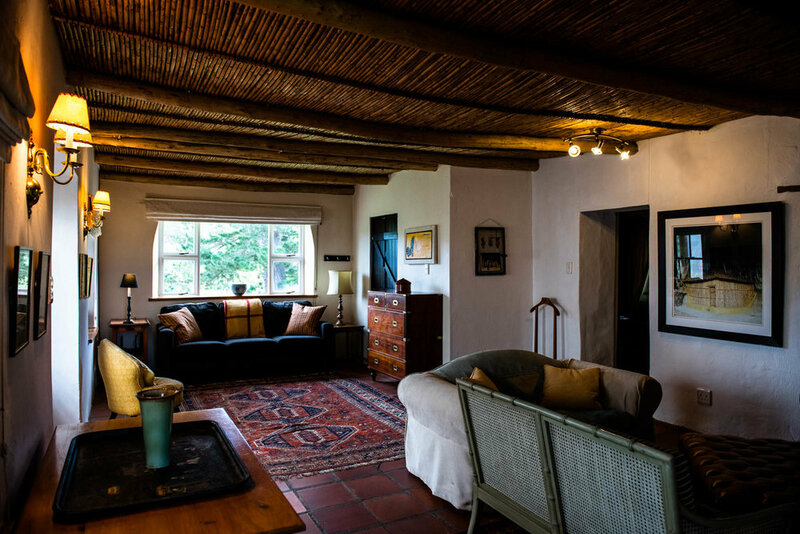 Sunbird Cottage sleeps 4 in a double and twin, both with en-suit bathrooms. 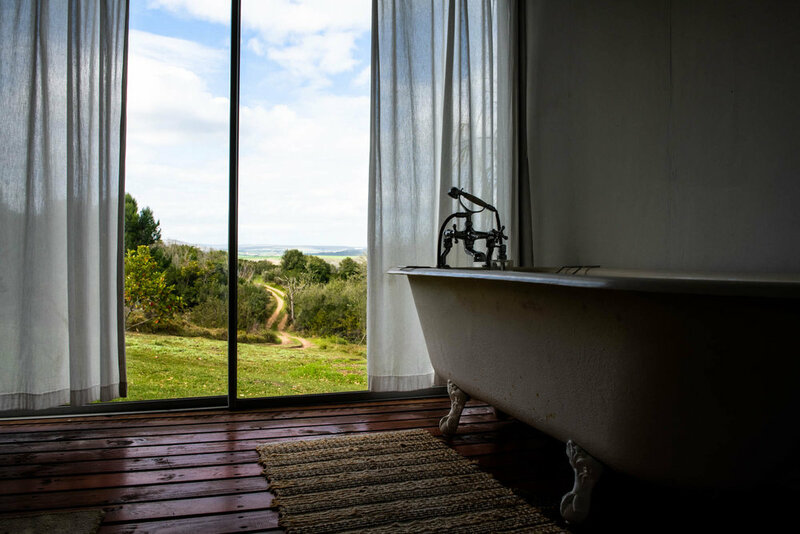 A cosy cottage, with a fireplace, kitchen and breakfast porch and braai area opens up to the expanding valley of vineyards to the east.